Curt Manufacturing, one of the leaders in the Trailer Hitch business, has just announced a new 1 1/4″ Receiver Class I Trailer Hitch – with a 1-7/8″ Euro Mount - for the 2011 Scion XD. It boasts agross towing weight of 2,000 pounds, with a tongue weight capacity of 200 pounds, and can be installed in about 35 minutes. It is available with the 1-7/8″ Euro Mount, pin, & clip. They recommend attaching the wiring to T-Connector part # 56136. These are now available at Hitches4Less.com. Visit our selection page of Curt Hitches - and enter Part # 111341 in the “SEARCH BY PART NUMBER” lookup at the bottom of the page. When you’re ready to start back out with your boat or camper this spring, be sure to come visit us first – at Hitches4Less.com and get things rigged up right. 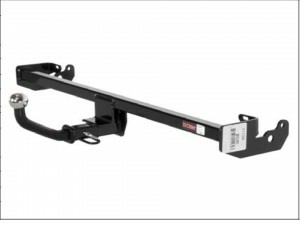 We can help you with all of your hitch and towing needs, including hitches, hitch balls, mounts, clips, & pins, hitch covers, wiring harnesses, extenders & adjusters, jack stands, and so much more. Now is the time to start getting things ready. Those fish are calling!! This entry was posted on Friday, May 20th, 2011 at 2:36 am	and is filed under Curt Hitches. You can follow any responses to this entry through the RSS 2.0 feed. You can leave a response, or trackback from your own site.